I was recently sightseeing in historic Oxford when I came across this plaque in Gloucester Green. 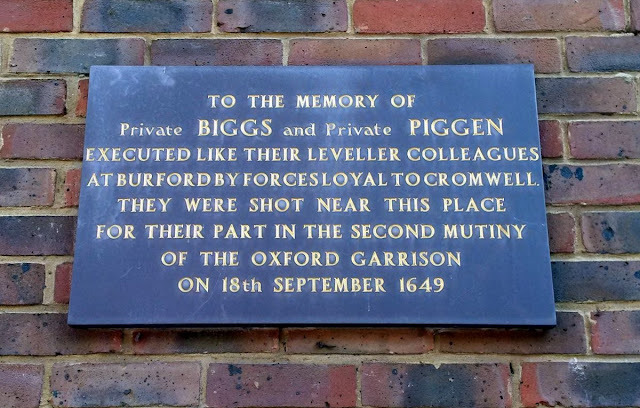 I have heard of the execution by Cromwell of Levellers at Burford and have long meant to visit the church but I have never heard of this incident nor can I find much further information on it. I wonder if Private Biggs is any relation of Tower Hamlets Mayor, John Biggs? Anyone know?